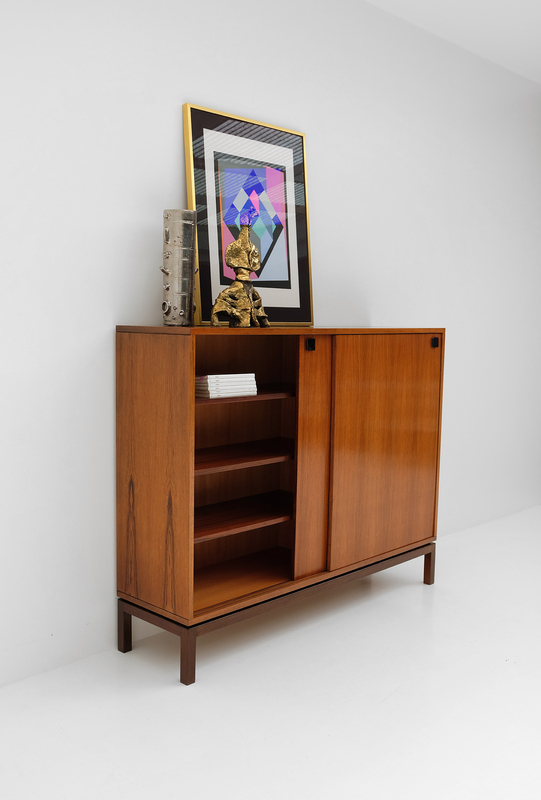 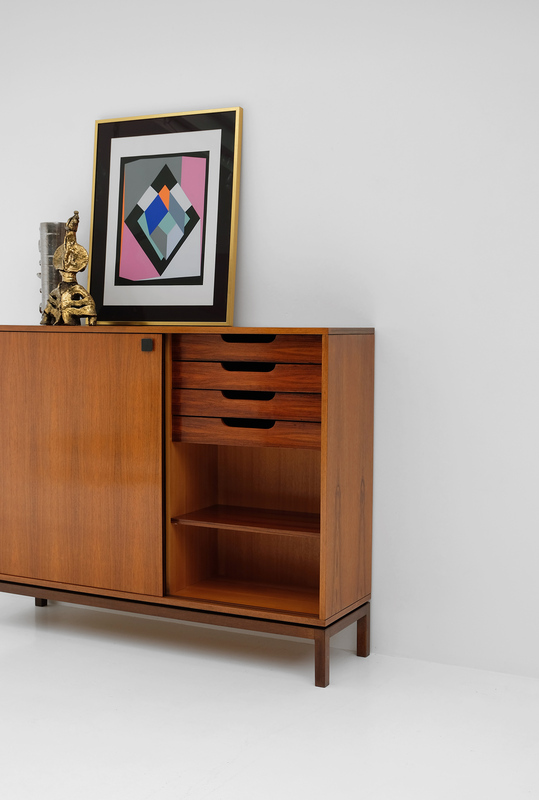 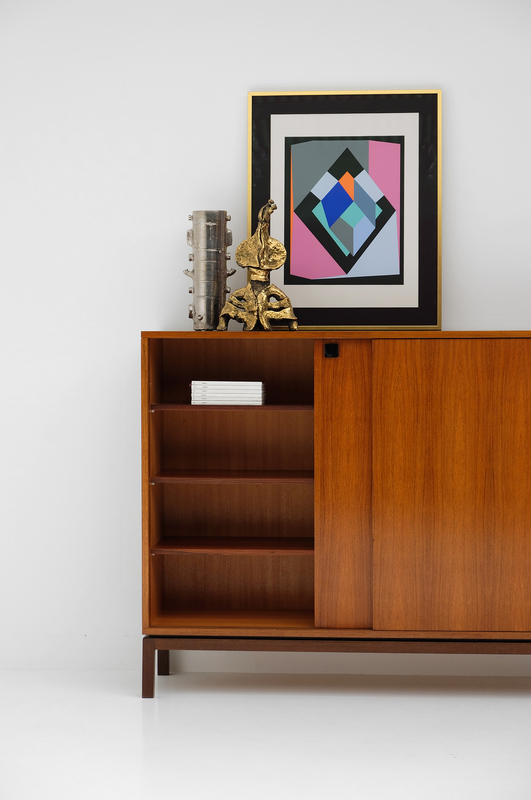 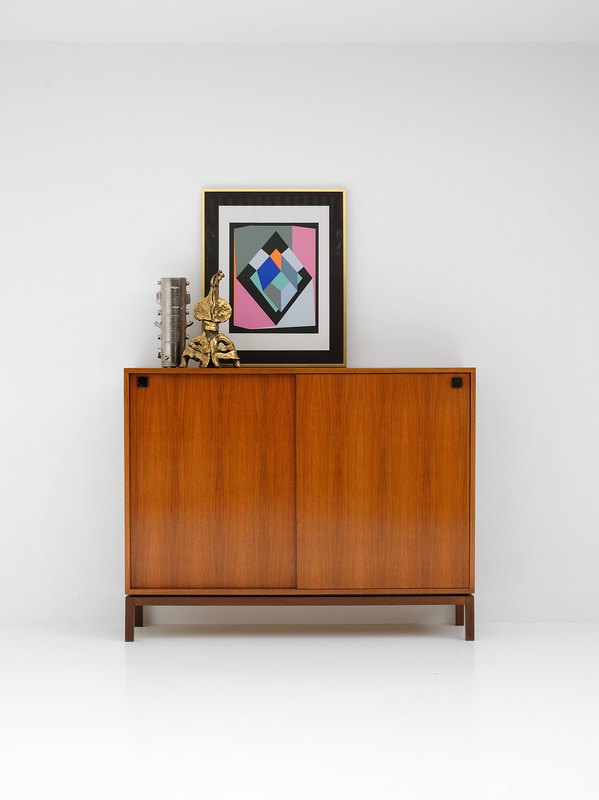 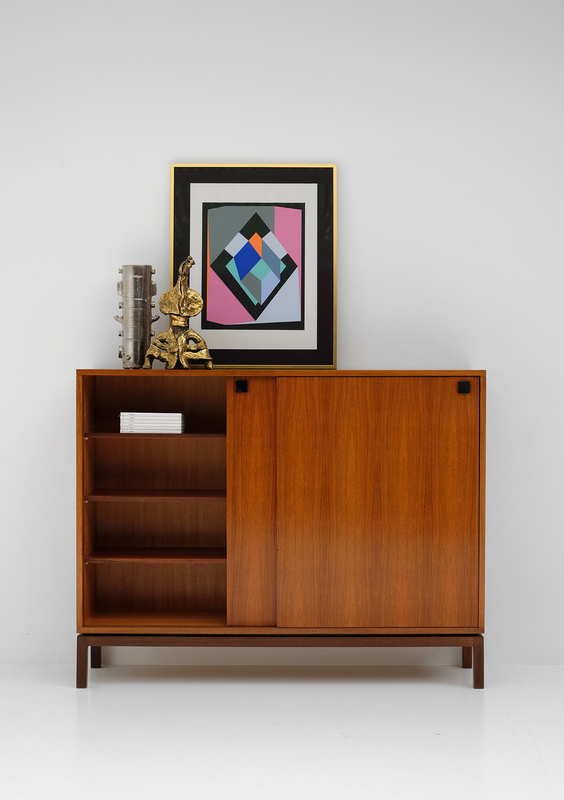 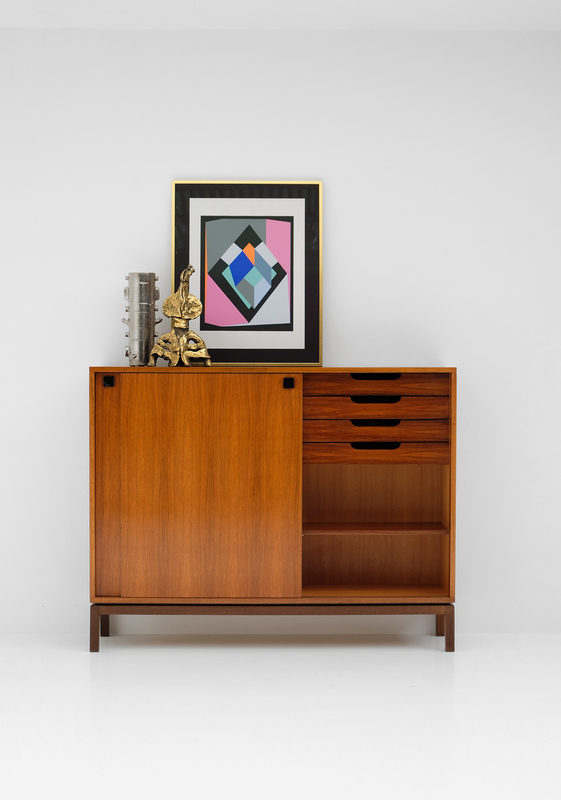 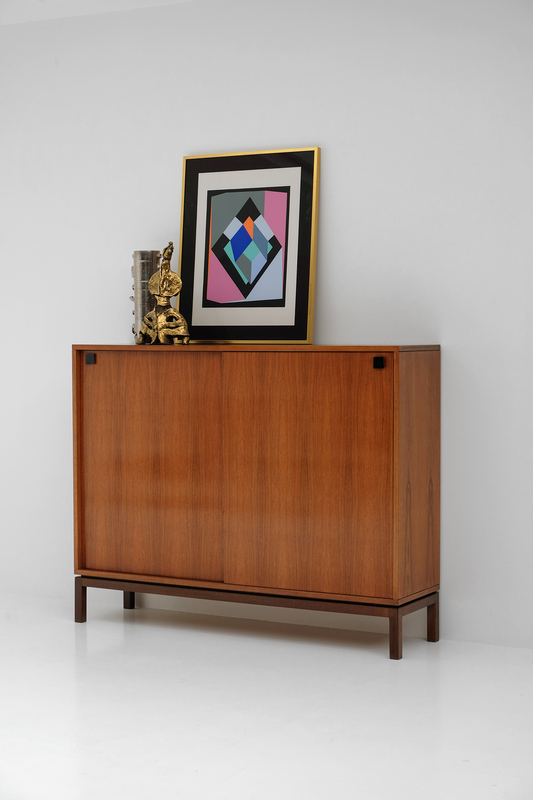 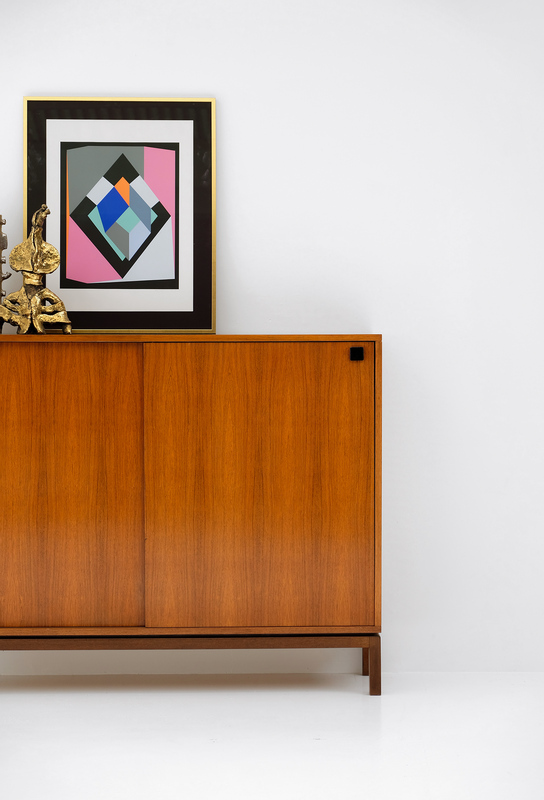 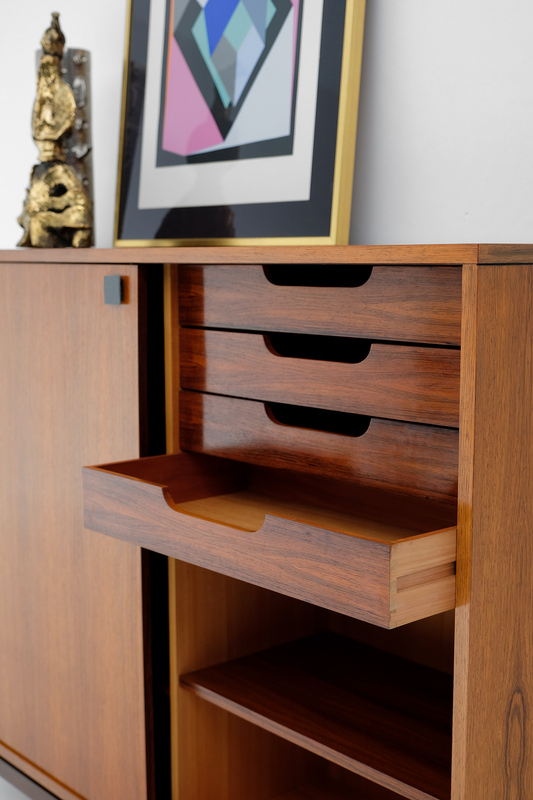 This cabinet was designed by Alfred Hendrickx for Belform in the mid 60s. 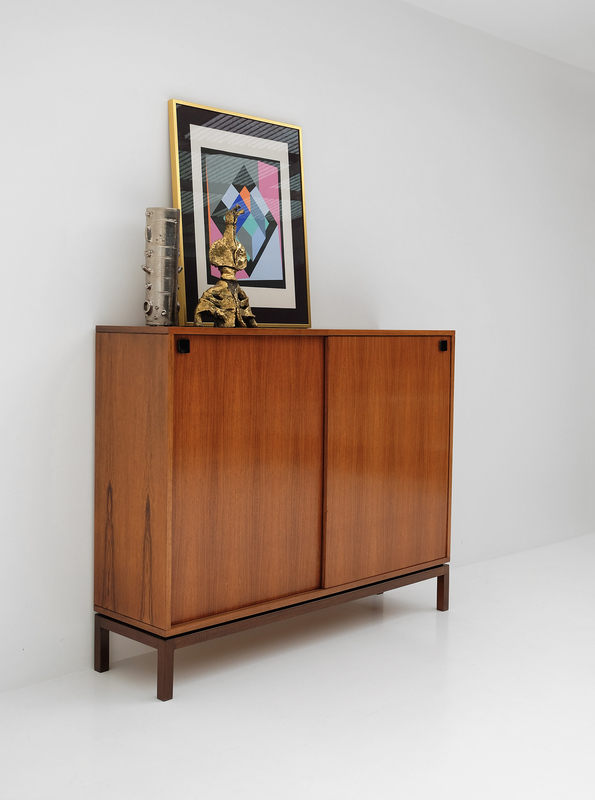 The design shows the eye for detail Hendrickx put in his work such as the use of the wooden pattern, the black doorhandles and the floating effect created by the space between the legs and base. 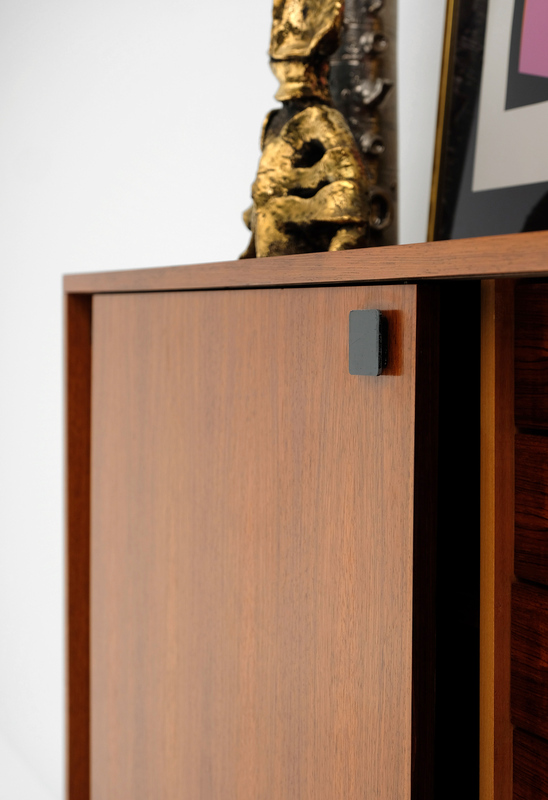 The cabinet has two sliding doors and offers a lot of storage space due the many shelves and four drawers.